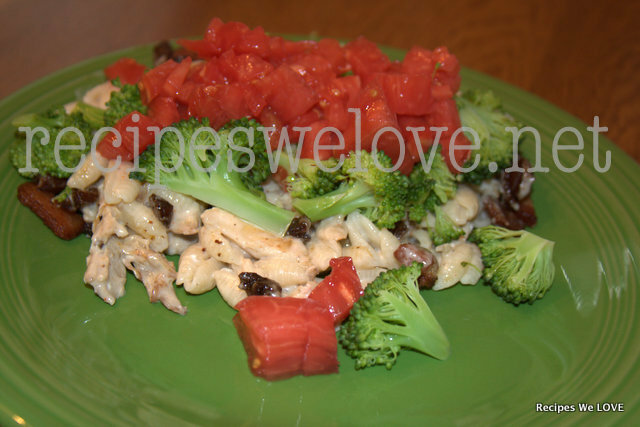 Chicken Bacon Bake is a favorite at Amber's house, and I have enjoyed it at her house so here is how we enjoyed this week at my house. 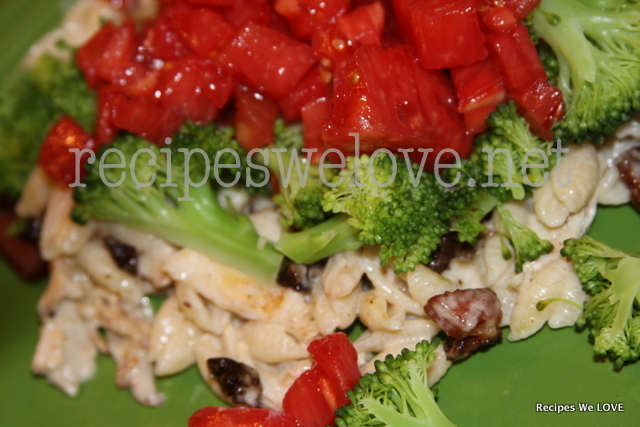 Check out the original recipe HERE but this is how it worked for me. Used about Half of a Chicken from the Slow Cooker Whole Chicken diced. In one pan I cooked the bacon. While in another I added the Alfredo, cream cheese, water, mozzarella, butter and cayenne until they were warm and smooth. While those are cooking steam a head of broccoli or more depending on how much you like broccoli, I have a steaming basket that I was able to use over my pasta while it cooked. Once everything is finished cooking, mix the chicken, bacon, sauce, and drained pasta and mix well. 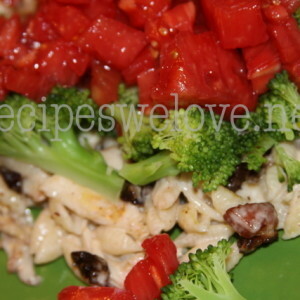 Then top with the steamed broccoli and diced tomatoes. So you can see this dish is really pretty different from Amber's Chicken Bacon Bake but I used that idea and this was the end result. So you don't have to always follow a recipe to the letter but use it as a springboard and make it your own.